Promain UK Ltd offer you an excellent supply of water based acrylic roof tile paints for re-colouring concrete interlocking roof tiles and slates. When you paint roof tiles, not only does the visual appearance of the roof dramatically improve, it is extremely effective in the reduction of porosity of the slates, stopping them from delamination and cracking. As well as colouring roof tiles, we also offer you clear roof tile paints products that can be applied to prevent the roof from ageing. This helps extend the life of the roof and retains its natural beauty. We also supply you with high standard cleaning products, which are excellent in the removal of Moss, Algae and Fungus. Rustoleum Dac Hydro Plus Paint for Concrete, Clay, Natural Slate Roof Tiles. A clear sealer for walls, floor and roof tiles, granite, stone, brick, sandstone, limestone, travertine, concrete etc. Rustoleum Dac Hydro Plus is the UK’s number one selling roof tile paint. This product is in high demand all year round as people seek to bring their roof tiles back to life. This top of the range, high quality paint is used for the painting of concrete, clay and natural slate roof tiles, giving you a range of different surfaces in which to re-colour. 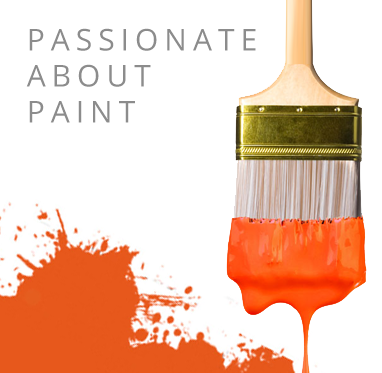 Dac Hydro Plus is an excellent paint which offers you high quality colouring in a range of different colours. As well as colouring roof tiles, Dac Hydro Plus can often provide you with a better solution than actually replacing old roof tiles. With a built in Primer, Dac gives you an abundance of adhesion to your roof tiles, and ensures long lasting protection. All the roof tile paint products we have are available and are fairly straightforward to apply and very affordable. Promain makes it a priority to supply you with high quality products at competitive and reasonable prices. If you have any troubles in finding the right product suitable for you, then please contact us and we will be happy to give you advice on which product is best suited to you.